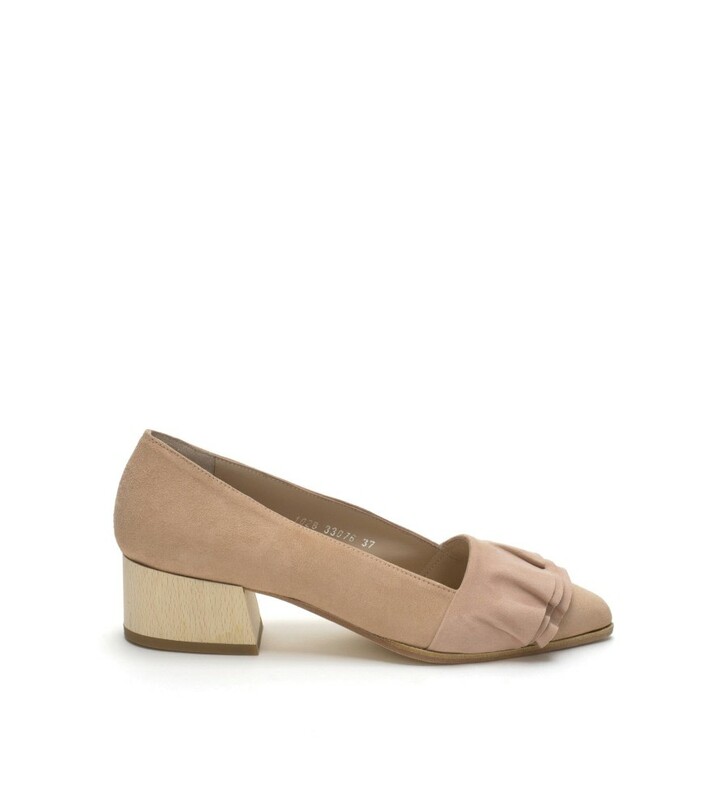 Crafted from smooth suede in a charming pale pink hue, these pumps are given a playful twist in the hand of Quoque this season. 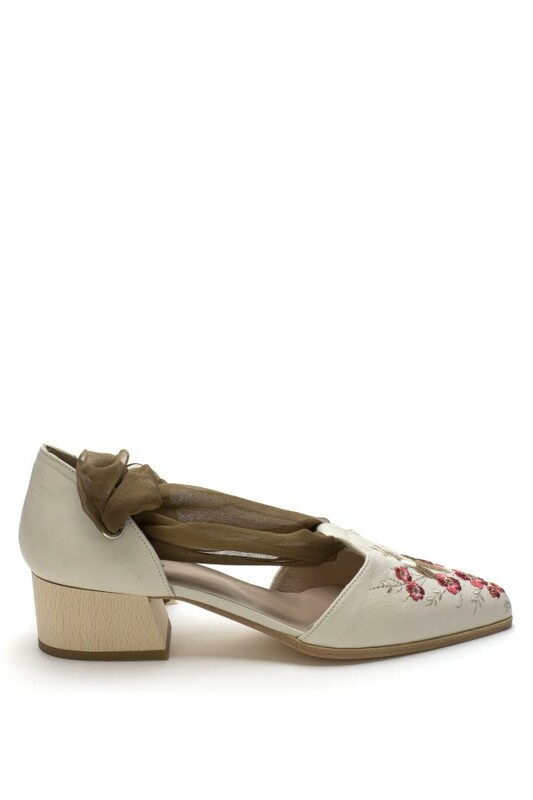 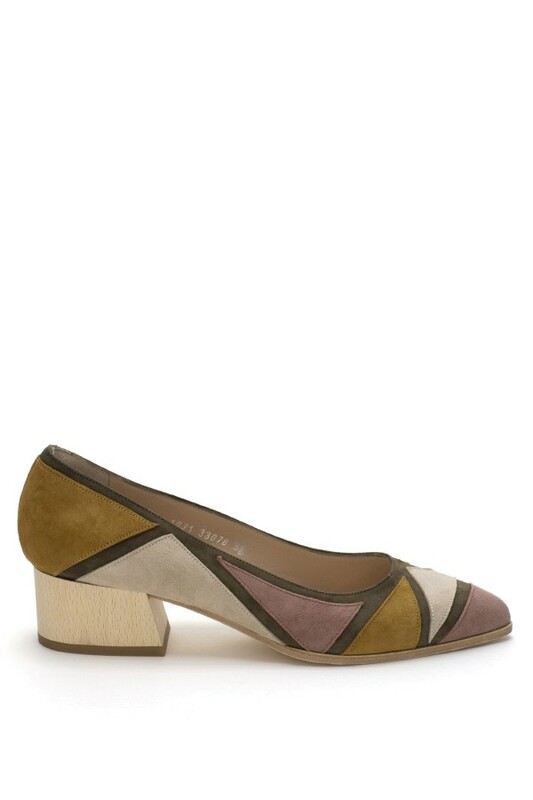 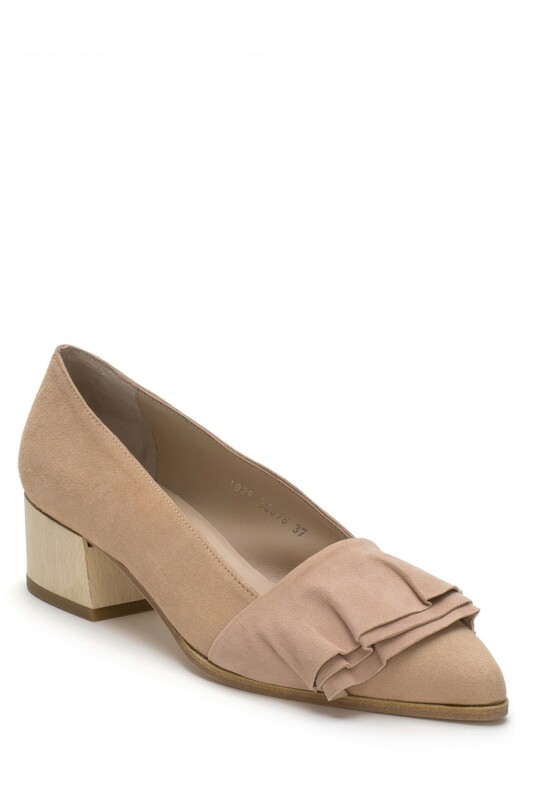 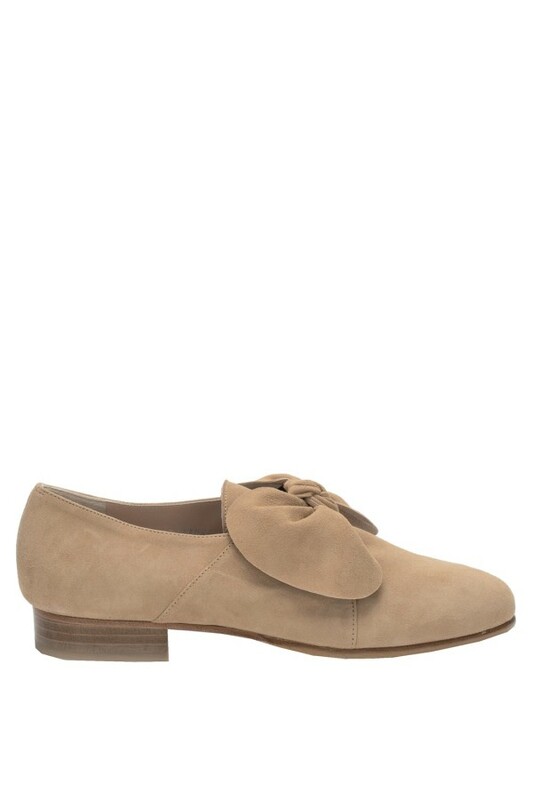 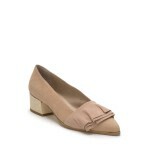 They're shaped to a point-toe silhouette and decorated with a ruffle detail that adds a subtle hint of femininity. 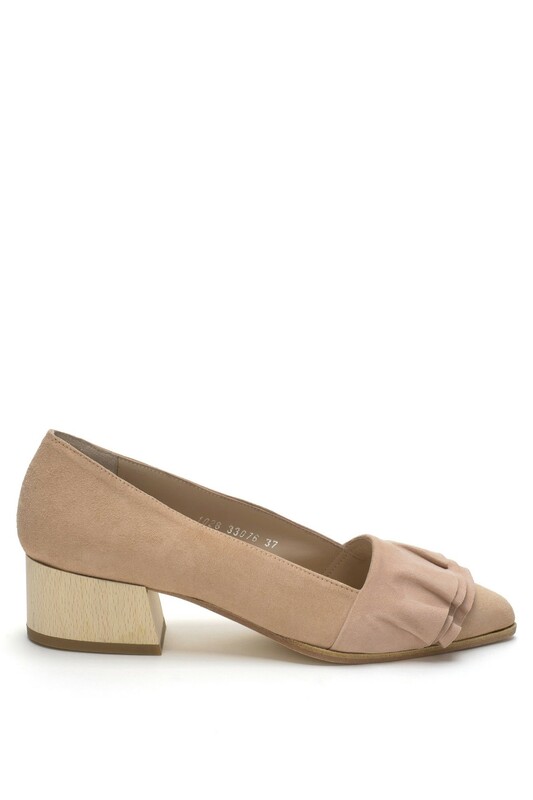 Style them with midi skirts or cropped trousers for an ultra-chic office look.